Man City face one of the biggest threats to their unbeaten Premier League campaign when they travel to Anfield Road to take on Liverpool on Sunday afternoon. 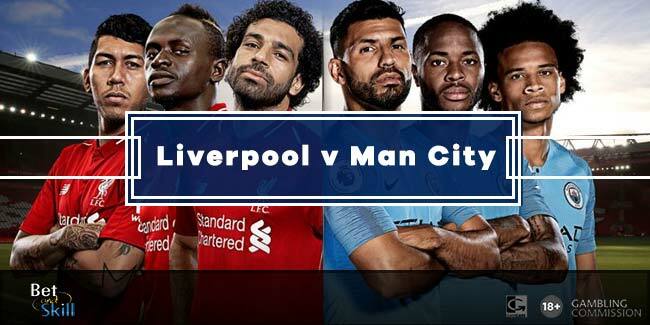 This article contains our Liverpool vs Manchester City betting preview with expert predictions, betting tips, lineups, team news, enhanced odds, betting offers and no deposit free bets for the Super Sunday match! Liverpool are on a 17-match unbeaten run in all competitions and currently sit 4th in the Premier League table, 18 points behind the league leaders. The Reds advanced to the FA Cup fourth round last week after knocking out Merseyside rivals Everton (2:1), their 3rd victory in a row with the same scoreline and their 4th overall. Jurgen Klopp's men are also undefeated in their last 13 home matches in the top flight. They have also kept nine clean sheets and conceded only four goals in the last 13 league matches in front of their own fans. Mohamed Salah is set to be available for this clash, a huge boost after the departure of Philippe Coutinho. The Egyptian will lead the line alongside Roberto Firmino and Sadio Manè, with Daniel Sturridge and Dominic Solanke providing attacking alternatives. James Milner and Alex Oxlade-Chamberlain are in contention for a start in midfield, while Emre Can and Georginio Wijnaldum should retain their place. The likes of Andrew Robertson, Joel Matip, Virgil van Dijk and Joe Gomez formed the back four in the Merseyside derby and could all line up as part of an unchanged defence. Jordan Henderson, Marko Grujic, Nathaniel Clyne and Adam Bogdan remain sidelined. Manchester City top the Premier League standings with an impressive 15 point gap over 2nd placed Manchester UTD. The Citizens are still unbeaten and have only dropped 4 points so far, having drawn with Everton and Crystal Palace. Guardiola's men have won their last three matches, all at home and in different competitions - 3:1 over Watford in the league, 4:1 over Burnley in FA Cup and 2:1 over Bristol City in the EFL Cup semifinal 1st leg. Man City started an incredible scoring spree with their 5-0 win against Liverpool in the reverse match back in early September but have failed to beat Liverpool at Anfield in the last 16 direct encounters. Pep Guardiola is expected to name his strongest starting XI. Sergio Aguero only played 20 minutes in the EFL Cup and should lead the line in the continued absence of the injured Gabriel Jesus. He should be flanked by Leroy Sane and Raheem Sterling, with Bernardo Silva providing a further option. In midfield, David Silva may miss out due to personal reasons. In that case, Ilaky Gundogan will join Fernandinho and Kevin De Bruyne in the middle of the park. Nicolas Otamendi and Fabian Delph were both rested against Bristol City so look set to join Kyle Walker and John Stones in the back four. Benjamin Mendy, Phil Foden and Vincent Kompany are sidelined. 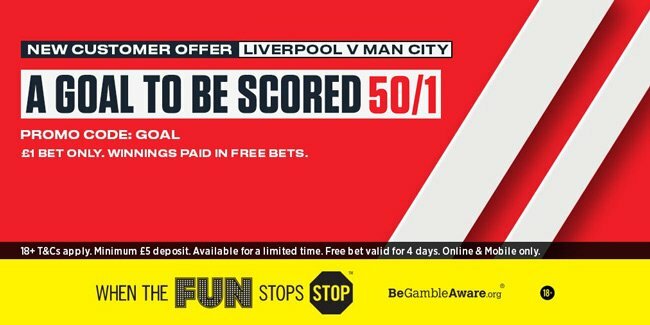 "Liverpool v Manchester City predictions, betting tips, lineups and free bets (Premier League - 14.1.2018)"